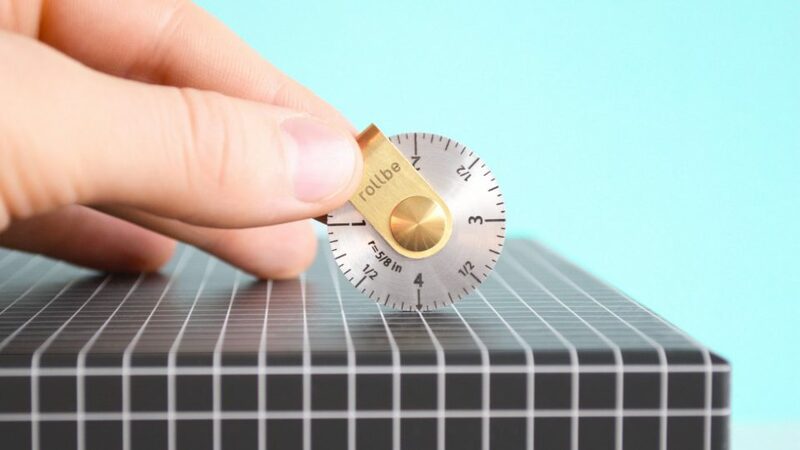 Architects, carpenters and other design and construction professionals often carry measuring tape wherever they go, but this small wheel makes for a much less bulky companion tool. 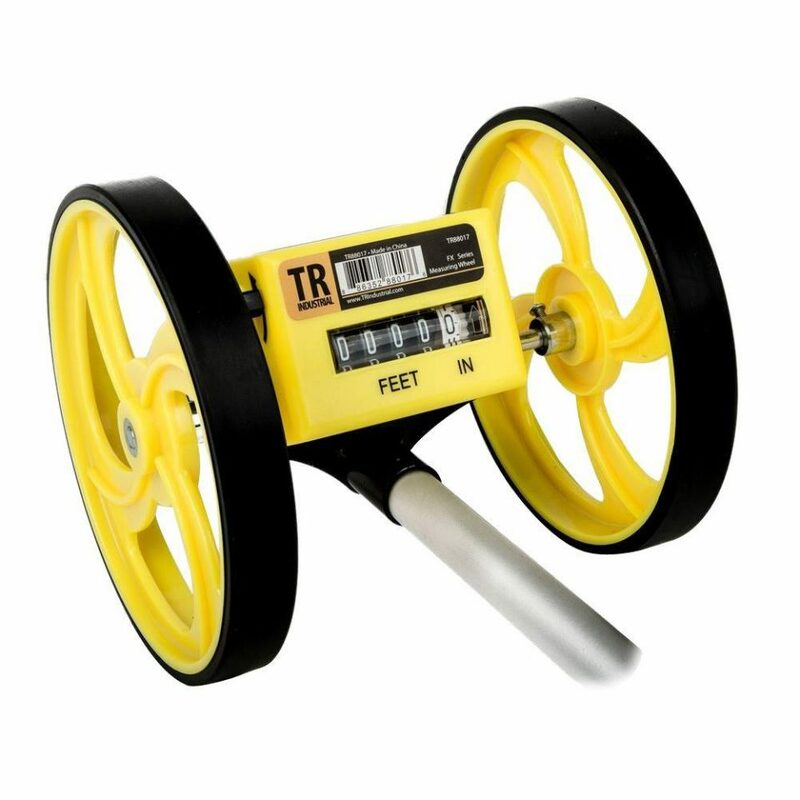 Measuring trundle wheels used to determine distances by rolling on a surface are not new, but they are big, and this design miniaturizes their function while maintaining a critical advantage: it can measure up to effectively any length as long as its operator keeps track of the number of spins. 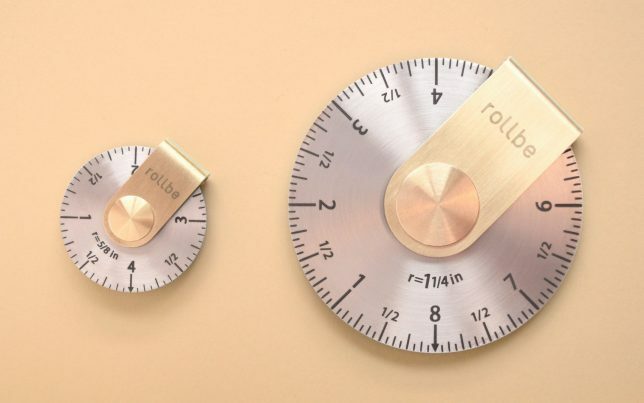 The Rollbe comes in various sizes, but at its smallest it is just a few inches in circumference (around an inch in diameter), making it fit like a coin and easy to carry on the go. It also comes with a pouch, turning it into a keyring. Thanks to the curved design and rolling function, it can measure not just flat but also curving and irregular surfaces, an advantage over a traditional measuring tape. The device also clicks with each rotation, making it easier to track the number of turns. 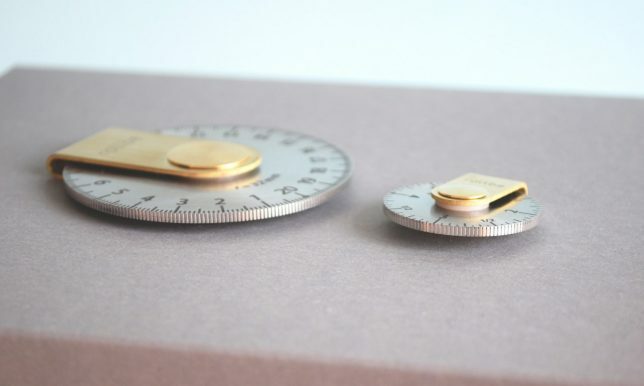 Designed by The Work of Mind, a Canadian company, the idea came from an unlikely direction — it wasn’t an attempt to figure out measuring, but to find new uses for coin-sized options. Numerals and markings are etched into the stainless steel using laser engraving to prevent fading over time. A larger version is also available — less portable, but a nice thing to pack in one’s kit of tools.